The Amazon has a smartphone sale going on from June 19 to June 21, in which you will also be offered discounts on laptops and headphones. If you are looking to purchase a new smartphone, the time is good because many e-commerce companies will be up for the sale before the Goods and Services Tax (GST) comes into action. 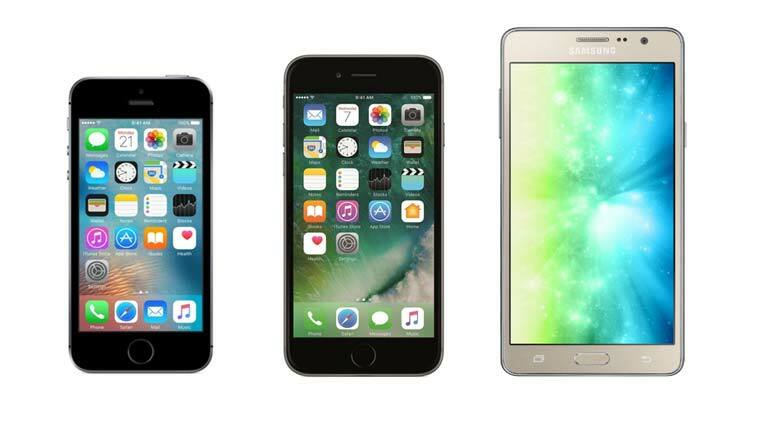 Apple iPhone 6, iPhone SE, Moto G4 Series, Samsung Galaxy C7 Pro and the older OnePlus 3 all will receive some amount of discount during the Sale period. Apple iPhone 6 is available at Rs 24,999 on Amazon India for the Space Grey color version with 32GB storage. The good news is iPhone 6 will get the iOS 11 update and it will feature a 4.7- inch Retina display with an 8MP rear camera and a 1.2MP front camera. The Apple iPhone SE’s Space Grey variant will be available on discount at Rs 19,999 on Amazon India. It has a smaller 4-inch Retina display with a 12MP rear camera and 1.2MP front camera, though its storage capacity of just 16GB might be a matter of concern for you. Coming to the Samsung smartphones, Samsung On5 Pro is available at Rs 7,190 on Amazon India in the gold color version. Samsung On5 Pro in gold color version is available at Rs 7,190 on Amazon India. The phone features 5-inch HD resolution display, Exynos quad-core processor 2GB RAM+16GB storage. The phone has an 8MP rear camera and a 5MP front camera. The Samsung On7Pro in gold color version is available at Rs 8,690 on Amazon India and it features a bigger 5.5-inch HD resolution display with the Qualcomm Snapdragon quad-core processor along with 2GB RAM+16GB storage. It sports a 13MP rear camera and a 5MP front camera along with with a removable Li-Ion 3000 mAh battery. Check out the Amazon Smartphone Sale and benefit yourself from the discounted prices.